Palouse Region of the Pacific Northwest. My PhD research focuses on agricultural relationships to climate for this study area. As part of my PhD research, I’m exploring how variations in climatic processes can be understood thru the use of data mining and machine learning approaches for predictive threshold analysis (Maimon and Rokach, 2014, King et al 2015). I’m specifically focusing on agricultural commodity systems and insurance losses. The USDA has an extensive archive of insurance claim information, aggregated at a county and monthly level, with cause of damage (drought, heat, failure of irrigation supply, etc). My research is exploring how this extensive dataset, in combination with a variety of other climatic factors – can be used to construct a usable predictive agricultural commodity loss model. As an integrated effort using the above concepts, I’m also working to develop a modular architecture API for data science integration, with a focus on climatic processes and machine learning algorithm use. Agricultural systems are an essential and growing aspect of our society. Not only is agriculture going through a data-centric revolution (Smith and Katz, 2013), the methods and analysis approaches for such efforts are also becoming much more complex (Gray, 2006, Bell, 2009, Clarke, 2009, Maimon and Rokach, 2010). Precision agriculture systems, cloud-based data assembly for farmers, and machine learning algorithms for predictive analytics, are all example areas of scientific discovery that are pushing efficient agricultural systems forward. This research builds upon this data growth, through the development of a modular data mining and machine learning methodology, initially focused on agricultural systems. 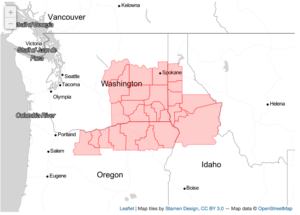 The proposed methodology will be applied to 1) irrigated and 2) dryland agricultural systems in the Pacific Northwest region, stepping thru the processes of data assembly and geographic characterization, feature transformation and engineering, classifier/regressor selection, optimization, tuning, and finally, incorporation into a custom application programming interface (API). Each model and API will use climate outcomes to predict agricultural crop loss, estimating the influence of these changing conditional relationships over time. (e.g. 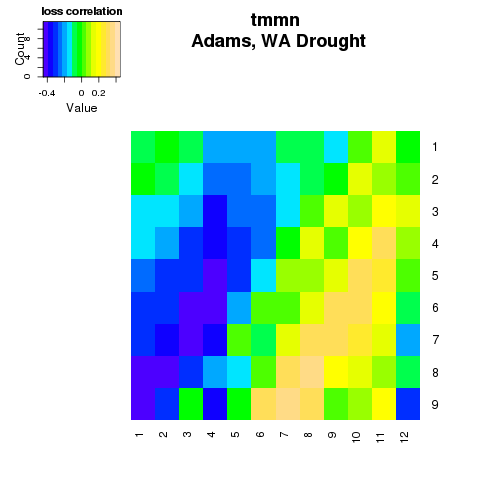 how influential is drought on crop loss for a particular county, and does that influence change into the future?). Finally, the API, models, and analytics are integrated into a technology platform for access by land managers, farmers, or scientists, with the added capability of extending the methodology to other climate impact areas, such as health or land subsidence. The research question focuses on agricultural systems and their impact given a changing climate. In this methodology example, we explore crop insurance claim losses that are submitted to the USDA , and how these data might be associated with climate data for a related time period. Abatzoglou, J. T. (2013). Development of gridded surface meteorological data for ecological applications and modelling. International Journal of Climatology, 33(1), 121–131. Alston, J. M., Beddow, J. M., & Pardey, P. G. (2009). Agricultural Research, Productivity, and Food Prices in the Long Run. Science, 325(September), 4–5. Diskin, P. (1997). Agricultural Productivity Indicators Measurement Guide. Food and Nutrition Technical Assistance Project (FANTA), (December). Sorte, B., & Rahe, M. (2015). Oregon Agriculture , Food and Fiber : An Economic Analysis, (December). Walker, K., & Rahe, M. (2015). Oregon Agriculture , Food and Fiber : An Economic Analysis, (December).